The EU constitution covers three interrelated dimensions: Constitutional principles, constitutionalising processes and constitutional culture, all of which are shaped through the all-encompassing context of contemporary globalisation. On this basis Snyder asks whether the EU will ever have a “finished” constitution and proposes ways towards a fundamental reformulation of our concepts of the constitution. How can we best conceive of the European Union (EU) constitution?1 To answer this question, we need in my view to take account of two imperatives which are usually relegated to secondary importance if not entirely neglected, at least in the terms in which I wish to pose the issues here. The first is the contemporary form of globalisation, and the second is an engagement with ordinary people. I deal with each of these briefly before sketching my conception of the EU constitution..
First, globalisation. Allow me to begin with my own conception. Several years ago, I proposed a conception of globalisation as “an aggregate of multifaceted, uneven, often contradictory, economic, political, social, [legal] and cultural processes which are characteristic of our time”.2 There I concentrated on economic globalisation, of which the principal motors have been transnational companies, and the main characteristics have been the development of international production networks, the geographical dispersion of the different phases of production, the flexibility of the process of production, intra-firm trade, the almost immediate transfer of information and the emergence of new forms of work. The most adequate concept for understanding the governance of economic globalisation is global legal pluralism. Global legal pluralism refers to the existence of a multiplicity of sites of governance throughout the world. Each site has two aspects: a structural aspect and a relational aspect. By “structural aspect”, I mean institutions, norms and dispute-resolution processes. By “relational aspect”, I refer to the ways in which a specific site is related to or linked to other sites. Consequently, we can understand economic globalisation as being governed by the totality of strategically determined, situationally specific and often episodic conjunctions of a multiplicity of institutional, normative and processual sites throughout the world. This conception of globalisation resembles that described by the British political scientist David Held as “transformationalist”. In this view, which contrasts with those of the “hyperglobalisers” and the “sceptics”, globalisation is not new, but today it has certain distinctive features. Moreover, the trajectory of globalisation is not fixed or known in advance. It does not lead automatically to convergence, and in fact it is not a single process but rather a multitude of processes which may differ profoundly according to domains or sectors. We can thus speak of the globalisation of law, of politics, of art, of music, of sport and so on. With regard to government and governance, the State remains important, but it is accompanied today by other forms or sites of governance, such as international organisations, international commercial arbitration, private networks, and so on. This is the new sovereignty, which encompasses new, especially non-territorial forms of governance. The concept of Empire is characterized fundamentally by a lack of boundaries: Empire’s rule knows no limits. First and foremost, then, the concept of Empire posits a regime that effectively encompasses the spatial totality, or really that rules over the entire “civilized” world….Second, the concept of Empire presents itself not as a historical regime originating in conquest, but rather as an order that effectively suspends history and thereby fixes the existing state of affairs for eternity….Third, the rule of Empire operates on all registers of the social order extending down to the depths of the social world….Finally, although the practice of Empire is continually bathed in blood, the concept of Empire is always dedicated to peace – a perpetual and universal peace outside of history9. Hence empire is not identical to globalisation, even though the space of imperial sovereignty is in principle unlimited10. In today’s world, empire is globalisation’s necessary and historical companion. The political constitution of empire, as outlined by Hardt and Negri, consists of three distinct moments. The first is inclusive, setting aside differences or regarding them as inessential, “taking away the potential of the various constituent subjectivities” and thus making possible “the establishment and legitimation of a universal notion of right that forms the core of the Empire”11. The second is differential, the affirmation in cultural terms (but not in juridical terms) of differences within the Empire: “In general, Empire does not create differences. It takes what is given and works with it12.” A third moment is managerial, affirming and arranging differences in an effective apparatus of command according to a logic of contingency, mobility and flexibility13. Hardt and Negri neglect the specific configuration of the EU. Here I treat the EU as a site broadly analogous in function but not identical in legal and political status to a nation-state. This paper is an attempt to model some of the main characteristics of the EU as a site of governance. Just as it is necessary to place the EU constitution in the context of contemporary globalisation, it is essential to try to elaborate a conception of the EU constitution which engages with the concerns, not only of the elite, but also of ordinary citizens. I suggest that an adequate conception of the EU constitution requires systematic attention to its social, economic, political and cultural contexts. The remainder of this paper seeks to sketch a model of the EU constitution that takes account of the various contexts that produce EU law and shape its operation in practice. To facilitate this task, it is useful first to circumscribe the object of inquiry, to define the term “constitution”, and to identify some ways in which the EU constitution has so far been conceived. Most work so far has either focused solely on the EC or, though concerned with the EU, has lamented the fact that, in contrast to its predecessor, it could no longer be understood in constitutional terms. In contrast, partly in view of the past history of European integration, but even more because of its future, I suggest that we should be concerned with the EU, not only the EC, for two reasons. On the one hand, nowadays it is difficult, if not impossible, to understand EC law from the technical legal standpoint except in the broader legal context of the EU. On the other hand, only the more inclusive view takes account of the different political tendencies, and thus different interpretations and practices regarding the law, which have always been inherent in the European Community, were recognised in the Single European Act and the Maastricht and Amsterdam Treaties, and now constitute the dynamic element of the system. In other words, taking the EC alone as the unit of analysis risks neglect of crucial elements of structure and process. What do we mean by “constitution”? For the present purposes it is useful to distinguish four possible meanings. One refers to a constitution in the empirical sense, the way in which the polity, such as the state, is organised in fact. A second meaning connotes the constitution in a sens matériel or material sense, namely the totality of fundamental legal norms which make up the legal order of the polity. A third meaning concerns the constitution in an instrumental sense, the written document or fundamental legal act which sets forth at least the principal constitutional legal norms. A fourth meaning refers to the constitution simultaneously in a material, instrumental and subjective sense, that is, a written document or fundamental legal act which has been deliberated by the people, either directly or through representatives. The EU has a constitution in the first, empirical sense. It also has a constitution in the second, or material sense. In addition, it may be said to have a constitution in the third, formal sense. It should also be noted that there is a wide gap between the EU constitution in the formal sense (i.e. the Treaties) and the EU constitution in the substantive sense (including its interpretation by the ECJ). The EU does not, however, have a constitution in the last sense, that is, also in the subjective sense. To analyse the EU constitution, I suggest that we need to refocus our constitutional lens. Let us concentrate on the meaning of a constitution in the subjective sense. This expression is sometimes limited to a constitution that has been approved by a constitutional convention. In the EU context, however, it may be misleading to focus on this specific form of expression of popular consent. We can use the expression “constitution in the subjective sense” to refer, not to deliberation by the people, but rather to people’s subjective orientation: that is, to use Weber’s terms, whether people are subjectively oriented to the constitution in a substantive sense as if it were their fundamental legal act. It is this particular combination of meanings, constitution in a material sense and constitution in a subjective sense, which I wish to emphasise here. The EU constitution does not necessarily have to be enshrined in one document or even in writing. Nor do all its rules need to be rigid. We must however deal with three sets of difficult questions. One set concerns the relationship between the constitution and the “living society”: is the EU constitution a form of social contract, an organic expression of a society as a whole, or both? Another set of questions asks: what is the substance of the constituent power? A final set of questions refers to “acceptance conditions”, or legitimacy: who accepts the EU constitution, why and within what limits? These sets of questions are part of our theoretical problem. How does a “constitution in the material sense” become also a “constitution in the subjective sense”? I have stated this problem in the terms of the discourse of constitutional law. However, it could also be expressed in terms of popular acceptance, democratic consensus and political legitimacy. The principal models that have been used to conceptualise the EC/EU so far can be grouped into three categories25. The first category comprises models of structure. Structural models are designed to identify essential features of governmental structure. The most frequently used structural models are five in number. They are (a) international organisation, (b) special-purpose association, (c) federation, (e) confederation, and (f) regime. The second category refers to models of ideals. This type of model refers to the ideals underlying European integration in general and the EC (or more rarely EU) in particular, such as unification, communitarianism, or participation in shared activities such as sport. In effect, most of the existing models of the EU/EC constitution are models of legal orders rather than constitutional models. In other words, the structural and jurisprudential models concentrate almost exclusively on ascertaining whether the EU can be considered to be an autonomous legal order or a polity: that is, whether its legal framework “deserves” to be called a constitution, rather than focusing on its content. When they go further, they are simply descriptive rather than normative. There are few, if any, real constitutional models of the EU31. 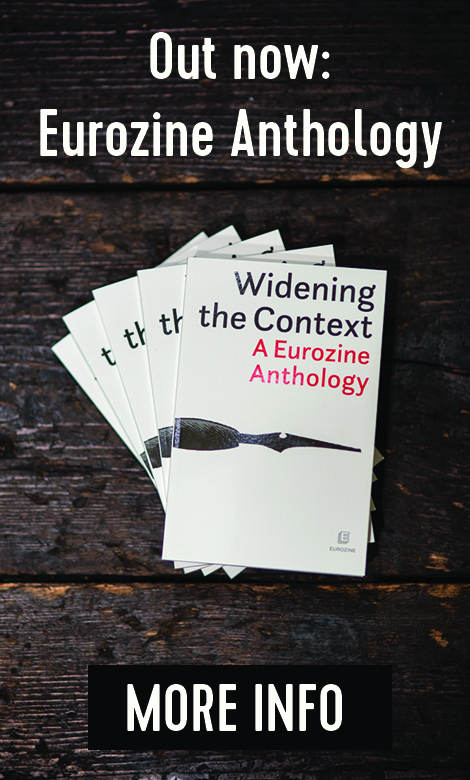 Existing models are concerned instead with explaining the process of European integration, identifying the normative challenge posed by EU/EC law to legal theory, or characterising the sui generis features of the system. Consequently, the present utility of Tribe’s model for constitutional modelling lies in challenging us to go beyond existing models of the EU constitution. On the one hand, it forces us to try to integrate structures, ideals and theories of law in a more systematic way. On the other hand, it reminds us of the substance of constitutional law. Whatever else it may mean, constitutionalisation is also a substantive process. To elucidate this substantive meaning is an important task of constitutional law scholarship. In order to take some steps in this direction, we need to go beyond rules, institutions and other structures. Four elementary hypotheses regarding the EU will make this more concrete. First, the EU is a social organisation. Second, “social organization is a dynamic process”32. Third, “social organization is the process of bringing order and meaning into human social life”33. Fourth, “social organization is the process of merging social actors into ordered social relationships, which become infused with cultural ideas”34. Following this approach, we may distinguish three distinct but interrelated dimensions of the EU constitution. The first dimension refers to structures, namely constitutional principles. The second dimension concerns constitutionalising processes. They include, but are broader than, those social processes which tend to transform (or block the transformation of) the EU constitution from a constitution in only a substantive sense to a constitution in both a substantive and a subjective sense. The third dimension consists of constitutional culture, a facet of legal culture. These three dimensions constitute my model of the EU constitution. The first dimension of the EU constitution consists of constitutional principles. This may seem a truism, because legal scholarship usually focuses on norms. It should however already be clear that the approach to the EU constitution being proposed here does not follow the spirit of Grey’s premise that “the primary object of discourse in the study of constitutionalism should be constitutional norms, not entire constitutions”35. In other words, there is a difference between taking norms seriously and giving norms absolute – or even sole – priority. Constitutional principles play an absolutely fundamental role in constitutional discourse. Norms must be set, however, within a broader context. One of the main arguments of this article is that we cannot understand the EU constitution adequately if we focus on norms alone. There is an intimate relationship between the normative dimension of the EU constitution and the other two dimensions, namely constitutionalising processes and constitutional culture. Two further points, however, should be made about the broader context of EU constitutional principles. First, in addition to their normative quality, EU constitutional principles are also to be considered as structures. They may be taken for granted, be considered to be legitimate or not, or be the object of political conflict. Nevertheless, they form part of the social field within which individuals and groups act, which informs or is part of this action, and to which it is often orientated. The general point applies to EU constitutional principles as to any other norms. In this light, we may view the constitutional principles of the EU from two perspectives. The first may be called the macro-sociological or even external perspective. The second is the micro-sociological or internal perspective. These two perspectives contribute different but complementary insights to our knowledge of the EU constitution. It has been suggested that the five key concepts of constitutional government in a divided-power system are sovereignty, legitimacy, citizenship, federalism, and rights.38 Though helpful for many purposes, these concepts are too closely associated with – and in fact are drawn directly from – constitutional discourse premised on the nation-state. In addition, some of them describe or postulate ideals, such as federalism or legitimacy, which in the EU context are missing in practice, inappropriate, or both. In my view, the constitutional principles of the EU as seen from a macro-sociological perspective are as follows: regional integration, divided-power system, the Member States as “Masters of the Treaty”, the integrity of the EU, and the rule of law. These principles vary in the source of their authority, in normative form or hierarchical status, and in the method in which they are enforced39. For example, the principle of regional integration, though mentioned in the Treaty of Amsterdam40, seems at first glance to be only an economic principle. Similarly, the principle that the EU is a divided-power system may appear to be merely a political statement. It should not be surprising that many of these constitutional norms have been stated by the ECJ in its Opinions ex Article 300(6) (formerly Article 228(6)) EC. These Opinions are devoted to evaluating the compatibility of proposed international agreements with the European Community Treaty. Consequently they often delimit the fundamental general features of the EC, so as to present a profile or silhouette of certain features of the EC in order to distinguish it sharply from the outside world. It is evident that they are less concerned with the EU as such, because under Article 46 (formerly Article L) TEU the ECJ does not have jurisdiction over the Common Provisions or (with limited exceptions) over Titles VI and VII (formerly Titles V and VI) TEU. (13)	respect of general principles of law. The basic principles of the EU constitution thus may be identified from two perspectives. The macro-perspective tends to highlight more clearly those constitutional principles which form the sina qua non of the European Union. It also makes clear that these principles differ, for example, in their sources and in the extent to which they are recognised as legally binding. By contrast, the micro-perspective focuses on constitutional principles which either are expressed in the basic Treaties or have been elaborated in the judgements of the European Court of Justice. These perspectives complement each other in the analysis of the EU constitution. Constitutionalising processes in the EU are not only the work of the European courts. They also involve the European Council, the Council and the European Parliament as well as other institutions, such as committees, agencies and policy networks. Nor are they limited to the European Union institutions alone. They also engage courts, parliaments, and administrations of the Member States. In addition, the legal profession is of special importance, though by and its large the role of transnational law firms and groupings and the impact of EU law on local law practices has been neglected by EU constitutional lawyers. In fact, I suggest that we must cast our net much wider. Political and economic processes are likely to be much more importance in the development of the EU constitution than is the law alone. We can distinguish three groups of constitutionalising processes in the EU. The first group consists of those processes which have fostered the development of legal institutions. These processes are regional integration, the (re-)institutionalisation of norms, and institutional growth and expansion. The second group refers to those processes concerning with ensuring the effectiveness of law. It includes administrative negotiation of effectiveness, the development of a judicial liability system and, most recently, legitimation without democratisation involving the European Council. The third group comprises a number of disparate processes which are concerned with deepening and delimitation. These processes include the creation of social solidarity, legitimation, democratisation, and differentiation, and the establishment and maintenance of boundaries. One may also add the search for values: constitutionalisation as a substantive process. Only some brief examples can be given here. Regional integration tends to require the development of legal institutions42 This may occur, for example, partly by means of the creation of treaties and their subsequent amendment, and partly by acts of a less dramatic nature. In his introductory textbook Molle set forth a series of hypotheses regarding the institutional consequences of regional integration. They range from the statement that “[t]he higher the form of integration chosen, the higher the institutional demands to be fulfilled43 to assertions concerning the transfer of power from one level of governance to another44. The validity of these specific hypotheses is not our concern here; the point is that regional integration tends to imply institution-building and institutional integration. The kinds of institutions which are generated – or required – by regional integration are to some extent indeterminate. For example, the institutions of the Third Pillar of the Maastricht Treaty were a mixture of institutions drawn from EC economic law and institutions modeled on those used previously in European Political Cooperation. The sources of the institutions are unique to the EU. One can therefore say that, in general terms, there is no necessary connection between economic integration and any specific institutional arrangements in the Third Pillar. Even more indeterminate is the extent to which regional integration leads to specific types of institutions and principles. For example, it is open to question whether, regional integration as such leads necessarily to human rights protection, even in the western European context45. “All social institutions are marked by “customs” and these “customs” exhibit most of the stigmata cited by any definition of law. But there is one salient difference. Whereas custom continues to inhere in, and only in, these institutions which it governs (and which in turn govern it), law is specifically recreated by agents of society, in a narrower and recognisable context – that is, in the context of the institutions that are legal in character and, to some degree at least, discrete from all others47. In Bohannan’s view, “…the law rests on the basis of this double institutionalization….Legal rights are only those rights that attach to norms that have been doubly institutionalized48. Re-institutionalisation is one of the basic constitutionalising processes of the EU. One of its aspects is “juridification”, the creation of legal norms from normative raw material which was previously not legal in character. A good example is the development of European social law, in which soft law and agreements between the social partners has played a fundamental part49. Another aspect is the re-institutionalisation of legal norms, that is, the statement or development as basic principles of EU law of legal principles drawn from other legal orders. One has only to consider the incorporation into EC or EU law of many constitutional or other legal principles of the Member States. The numerous examples include proportionality, legitimate expections, extra-contraactual liability, state liability50, and, most notably, human rights. The history of the EC and the EU has been characterised simultaneously by the growth of institutions and the expansion of systemic (EC or EU) competences. This occurred initially by means of Article 308 (formerly Article 235) EC. More generally, as Weiler has shown, it involved various types of the mutation of jurisdiction and competences51. Among the most dramatic examples are, first, the development of the Community’s implied powers, notably in external relations. This was accomplished by the ECJ in a series of fundamental judgments, ranging from ERTA52 until its recent retreat in WTO53. Another example, no less dramatic but perhaps less well-known, is that of soft law, notably interinstitutional agreements54. A second group of constitutionalising processes in the EU concern the effectiveness of law55. Constitutional norms do not have to be enforced by means of judicial review in order to be considered as constitutional56. Even though judicial review may be a – or even the most – common type of enforcement, we need to remember that constitutional norms can also be enforced for example by administrative or political means. In the Community, for example, the European Commission has sought to ensure the effectiveness of EC law through negotiation, including Article 234 (formerly Article 169) EC litigation, the use of soft law, and structural reform. The European Court of Justice has created a judicial liability system, involving the direct effect of directives, the interpretative obligation, partial harmonisation of national remedies, and the remedy of damages against a Member State. A third group of constitutionalising processes are related to what we can call the deepening and delimitation of the EU. These processes are the creation of social solidarity, legitimation, democratisation, differentiation, the establishment and maintenance of boundaries, and the search for values. A brief pointer regarding boundaries must suffice. The boundaries of the EU are complex57. Boundaries determine membership. They distinguish insiders from outsiders. In an economic integration scheme, they separate those who benefit from trade creation from those who lose from trade diversion. And so on. They may be defined for example in terms of Member States, customs boundaries, national citizenship of individuals, residence of individuals, and other ways. Consider the pyramid of privilege in EU trade relations, such as the different types of boundaries involved in the Europe Agreements, the Euro-Med Agreements, and the Lomé Convention58. As these examples make clear, EU boundaries are problematic, flexible, permeable, often situationally defined and frequently negotiable. The maintenance of boundaries is a process. The key question for scholars of EU constitution law is therefore how boundaries are managed. The ECJ has in fact played a fundamental role as gatekeeper in defining the boundaries of the EU for various purposes. Examples include: the extent to which international agreements, such as the GATT, have direct effect59; the differentiated interpretation of legal texts according to their EC or international context; the extra-territorial application of EC competition law60, the question of “fortress Europe” in relation to non-Community nationals; and the rearrangement of trading boundaries during the continuing banana saga. It can be argued that the definition, negotiation and maintenance of boundaries are inherent in any postmodern constitution61. “Constitutional culture” is an expression which is only gradually gaining currency among lawyers. Like its earlier analogue, “political culture”, it has been elaborated most fully so far by political scientists, including those interested in the EU constitution. Before sketching my conception of EU constitutional culture, it is useful to make several introductory points. First, as contrasted to other major areas of the world, for example Asia, Europe can be said to be characterised by a single legal culture. Second, it is also true that, even with regard to legal culture, there is within Europe a great deal of diversity. Third, nevertheless one can in my view speak of a “legal culture” which is developing within the European Union, and which has been powerfully influenced by the origins and development of the European Economic Community since the late 1950s. There is a strong tradition of studies of legal culture in different European countries. But the study of legal culture within the European Union as such is at its beginning. The research questions remain for the most part still to be identified. It deserves to be stressed that it is possible to learn a great deal from what has already been done in various European countries, as well as from the studies of legal culture in other major cultural or legal areas. 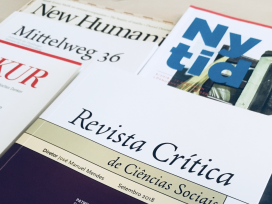 It is also important to note that these studies must rely very much on the work of sociologists, political scientists, anthropologists and other disciplines. 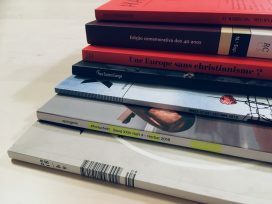 Unless legal scholars are prepared to turn to these disciplines for help, the study of EU legal culture is likely to remain relatively neglected. A legal culture exists whether people know about it or not, and whether they agree with it or not63. It thus closely resembles what Merryman calls a “legal tradition”. He refers to “a set of deeply rooted, historically conditioned attitudes about the nature of law, about the role of law in the society and polity, about the proper organisation and operation of the legal system, and about the law is or should be made, applied, studied, perfected, and taught”64. The concept of “constitutional culture” is a variant of but narrower than that of “legal culture” For the present purposes, by “constitutional culture” I mean a legal culture oriented to the legal framework of the EU as a set of fundamental norms. It is not concerned solely, or indeed primarily, with judicial review65. Constitutional culture does not necessarily involve shared norms, based on common principles of justice and articulating an “overlapping consensus66. Instead it may express conflicting moral ideas and different traditions of constitutional democracy67. My working hypotheses are two fold. On the one hand, a constitutional culture which is specific to the EU is now emerging and being created at the individual, organisational and societal levels. On the other hand, its main features are not all fixed, nor are they by any means entirely coherent and free from contradiction. I suggest that we can conceive of EU constitutional culture as an onion, consisting of three layers: modern or post-modern legal culture, western legal culture, and a legal culture specific to the EU regional integration scheme. When we peel off the first layer, the second is revealed; and when we peel off the second, we can clearly see the third. The layers themselves are to some extent translucent, however, so one can sometimes see through each layer to the one below. The first layer has been described by Friedman as composed of six characterisics. It is a culture of change; law is essentially instrumental; modern law is dense and ubiquitous; there is an emphasis on rights and entitlements; there is an emphasis on individualism; globalisation is a key phenomenon69. We need to add the peculiar conjunction of universalism and fragmentation, of internationalisation and localisation, which appears to be a concomitant of globalisation. The second layer consists of western legal culture. In Wieacker’s view, its essential features are personalism, legalism and intellectualism70. To this, we need to add the myth of the state: the idea that the state is the sole source of law71. The third layer is profoundly influenced by the historical development of European regional integration since the 1950s. Of particular importance are the origins of the current EU, first in the early sectoral European Coal and Steel Community (ECSC), and then in the broader but still limited European Economic Community (EEC). These influences are manifested, for example, in the EU myths of origin. An example is the “Community method” of neo-functionalist integration originally promoted by Robert Schuman and Jean Monnet. Though of course containing true elements, these accounts may also be conceived as “stories drawn from a society’s history that have acquired through persistent usage the power of symbolising that society’s ideology and of dramatising its moral consciousness72. I think we can analyse EU legal culture in terms of two interrelated but distinct domains, on the one hand, and in terms of two principal influences, on the other hand. There is a great divide between two domains of contemporary EU legal culture: elite or specific legal culture, on the one hand, and general or popular legal culture, on the other hand. Both have been influenced by two important influences: “the legacy of originsc: those attributes that derive primarily from the specific historical experience of the EU, and the model of the state, those features which the EU has assumed, or which are ascribed to it, and which are based on the historical model of the state in western Europe. Consider, first, elite EU legal culture. Its main features, in my view, are as follows. First, the Member States are considered as the “Masters of the Treaty”, at least in the sense that they make the basic political decisions about the shape of the system. Second, the ideology of neo-functionalism is still of central importance, not only as a thread running through the original EEC Treaty, but also as conceptual framework and working method which is shared by many officials of the EU institutions. Third, this legal culture emphasises the importance of negotiation, in part a characteristic of regulatory law but unfortunately also a contributor to the EU’s relatively weak popular legitimacy. Fourth, it emphasises the role of divided power in the social construction of an ideology of the European Union legal system as closed, neutral, impartial and autonomous. An example is the view that the EU (formerly EC) represents a “new legal order”, in the words of the European Court of Justice in the landmark judgement in Case 26/62 Van Gend en Loos  ECR 1. Fifth, despite the extension of its competences starting with the European Single Act and then the Maastricht Treaty, the EU remains to a great extent a prisoner of its initially economic orientation. For example, there is still a debate about whether the EU (and EC) is best conceived as a single-purpose association rather than a general integration scheme. In addition, economic integration and economic rights are often considered (not always correctly) to have priority over social and political rights. Sixth, the EU is marked by a strongly instrumentalist conception of law, a feature which is typical of contemporary western states but which is heightened in the EU context by the historical legacy of economic orientation, task-focussed administration organisation and regulatory law. Seventh, some of the factors have converged to give the EU a very undemocratic character, at least if the degree of democracy is measured according to the usual criteria of the representative parliamentary democracies of its Member States73. Eighth, there has at least in the past been a certain orientation towards centralisation, uniformisation, or at least harmonisation, as opposed to pluralism, diversity, and differentiation: as will be seen the Common Agricultural Policy provides perhaps the best example.74 A ninth feature is hierarchical organisation. Thus, for example, the Maastricht Treaty is usually analysed by lawyers as being based on two opposing principles, supranationalism and intergovernmentalism; and cooperative relations between Member States have unfortunately been often viewed until recently as merely intergovernmental and necessarily anti-communautaire. Some of these elements are now changing, albeit sometimes very slowly. Popular or general EU legal culture differs greatly. Its very existence is sometimes denied, for example by those who argue that the EU has only discrete national legal cultures. In my opinion this argument is misplaced. More research is needed on the impact of transnational sport, especially football; the limited impact of trans-European media and the barriers, including legal barriers, to further integration with regard to newspapers and television; and cinema. Further attention is required also on the effects of globalisation on the process of europeanisation of legal culture. Some research indicates that globalisation and europeanisation are to some extent contradictory, even though both may be encouraged by EU law75. In this article I have tried to outline a way of conceiving of the constitution of the European Union. The model of the EU constitution proposed here consists of three interrelated dimensions: constitutional principles, constitutionalising processes, and constitutional culture. These are the principal constitutional aspects of the EU site of governance. In this paper I have aimed briefly to set the EU in the context of contemporary globalisation, in which the EU is a site of governance in a pyramid of sites. This model also aims to engage with the concerns of ordinary citizens, in particular by taking account of the social, political, economic and cultural contexts in which EU/EC law is produced and in which it operates. The next step is to elaborate this model in more detail and to explore its implications. It should be re-emphasised that the model is heuristic. It is intended to help us address the question as to whether, one day, the EU will have not only a constitution in the material sense but also a constitution in the subjective sense. The model does not, however, prejudge the answer to this question. Indeed the main contribution of the model may ultimately prove to lie in helping us to understand analytically why the EU has – and will always have – an unfinished constitution. We can then reflect on what “unfinished” means, and possibly work towards a fundamental reformulation of our conceptions of the EU constitution. We also need to ask ourselves how the context of globalisation helps to shape these features of the EU constitution and, consequently, what kind of EU constitution is possible in the contemporary period. The latter part of the paper is based on my "The Unfinished Constitution of the European Union: Principles, Processes and Culture" in Joseph H.H: Weiler and Marlene Wind (eds), European Constitionalism Beyond the State (Cambridge, Cambridge University Press, 2003), pp 55-73. Michael Hardt and Antonio Negri, Empire (Harvard University Press, Cambridge MA and London, 2000) [hereinafter Empire ].. Empire , p. 182. Hardt and Negri argue that the U.S. constitution is imperial, not imperialist, because "(in contrast to imperialism's project always to subsume subject countries within its sovereignty) the U.S. constitutional project is constructed on the model of rearticulating an open space and reinventing incessantly diverse and singular relations in networks across an unbounded terrain": Empire, p.182. American Constitutional Law (2nd ed. 1988). An exception is the work of Miguel Poiares Madaro. M.E. Olsen, The Process of Social Organization (1968) 2. Grey, "Constitutionalism: An Analytic Framework", in J.R. Pennock and J.W. Chaplain (eds) Constitutionalism (1979),189-209 at 190. F. Snyder, New Directions in European Community Law (1990) 42. See the three-fold classification of constitutional norms elaborated by Grey, "Constitutionalism: An Analytic Framework", in J.R. Pennock and J.W. Chaplain (eds), Constitutionalism (1979) 191. See eg Treaty of Amsterdam, Preamble, 1st, 2nd, 7th, 8th, 11th and 12th recitals; Title I, Art. A, second paragraph; Title I, Art. B, first indent; see also Art. 2 EC. M.E. Olsen,The Process of Social Organization (1968) 62. There is broad agreement on this point among a range of scholars in different disciplines. See, for example, Mandel, Power and Money: A Marxist Theory of Bureaucracy (1992); Pelkmans and Robson, "The Aspirations of the White Paper", JCMS (1987) 203; Robson, The Economics of International Integration , 3 ed (1987); Molle, The Economics of European Integration , 2nd ed (1994); Joerges, The Market Without the State or the State Without the Market, EUI Working Papers No 96/2, Florence (1996). See also the Kantion theory of right assumed by Mestmacker: "Whenever human beings are interacting with each other, there arises the necessity to define the outer boundaries of their liberty and to provide for the judicial resolution of conflicts that are associated with different perceptions of rights and duties", Mestm@cker, "On the Legitimacy of European Law" RabeleZ (1994), 615, at 620. For example, "[a]ll forms of integration require permanent agreements among participating states with respect to procedures to arrive at resolutions and to the implementation of rules. In other words they call for partners to agree on the rules of the game. For an efficient policy integration, common institutions ... are created. However, for the higher forms of integration, such as a common market, the mere creation of an institution is not sufficient: they require a transfer of power from national to union institutions". See W. Molle, The Economics of European Integration - Theory, Practice, and Policy (2nd ed. 1994) at 14. See Frowein, Schulhofer and Shapiro, "The Protection of Fundamental Rights as a Vehicle of Integration", in Cappelletti, Seccombe and Weiler (eds), Integration through Law , Vol I, Book 3 (1984), at 231; see also Weiler and Lockhart, "Taking Rights Seriously Seriously: The European Court of Justice and its Fundamental Rights Jurisprudence", CMLRev. (1995) 51. Bohannan, "The Differing Realms of the Law", in P. Bohannan (ed), Law and Warfare: Studies in the Anthropology of Conflict (1967) 43-56 at 45; reprinted from American Anthropologist , Special Publication, The Ethnography of Law (ed. L. Nader), vol. 67, no. 6, part 2, 33-42. I find this concept useful in analysing EU law, even though I do not agree entirely with Bohannan's view of the historical relationship between African customary law and the colonial state: see Snyder, "Colonialism and Legal Form: The Creation of Customary "Colonialism and Legal Form: The Creation of Customary Law in Senegal", (1981) 19 Journal of Legal Pluralism 49-90. See Sciarra, "Collective Agreements in the Hierarchy of Community Sources", in Davies, Lyon-Caen, Sciarra and Simitis (ed. ), European Community Labour Law: Principles and Perspectives, Liber Amicorum Lord Wedderburn of Charlton (1996). Principles and Perspectives, Liber Amicorum Lord Wedderburn of Charlton (1996). See Harlow, "Francovich and the Problem of the Disobedient State", ELJ, 2, (1996) 199. See Weiler, "The Transformation of Europe", (1991) 100 Yale Law Journal 2403. Case 22/70 Commission v Council ("ERTA")  ECR 263. See generally Snyder, "Interinstitutional Agreements: Forms and Constitutional Limitations, in Winter (ed.) Sources and Categories of European Union Law (1996) 453. See further Snyder, "The Effectiveness of European Community Law: Institutions, Processes, Tools and Techniques", (1993) 56 Modern Law Review 19. See Grey, "Constitutionalism: An Analytic Framework", in J.R. Pennock and J.W. Chaplain (eds), Constitutionalism (1979) 189-209 at 195-196. See further Snyder, "Integrità e Frontiere del Diritto Europeo: Riflessioni sulla Base della Politica Agricola Comune" (1994) RIDPC 579. See further Snyder, International Trade and Customs Law of the European Union (Butterworths, 1998). See Snyder, "The Gatekeepers: The European Courts and WTO Law", Common Market Law Review , 40, 2003, pp. 313-367. See also Ruggie, "Territoriality and Beyond: Problematising Modernity in International Relations" International Organisation (1993) 139. Friedman, "Legal Culture and Social Development", (1969) 4 Law and Society Review (August) 29-44 at 34. J. H. Merryman, The Civil Law Tradition (1969) 2. Compare Robert F Nagel, Constitutional Cultures: The Mentality and Consequences of Judicial Review (Berkeley, University of California Press, 1989). Castiglione and Bellamy, "Constitutional Culture in Europe", (1995) 1 RUSEL Comptes Rendu 15; see also Democracy and Constitutional Culture in the Union of Europe (Lothian Foundation, London, 1994). An exception to the general pattern is Schepel and Wesseling, "The Legal Community: Lawyers, Officials and Clerks in the Writing of Europe", (1997) 3 European Law Review 165. Friedman, "Law and Social Change: Culture, Nationality, and Identity", in Collected Courses of the Academy of European Law , 1993, Volume IV Book 2 The Protection of Human Rights in Europe , 237-291 at 258-265. Wieacker, "Foundations of European Legal Culture", (1990) 38 American Journal of Comparative Law 1. As to this and other myths of positive law, see N. Rouland, Anthropologie juridique (1988) 410-418. R. Slotkin, Gunfighter Nation: The Myth of the Frontier in Twentieth Century America (1992), at 5,cited in Friedman, "Law and Social Change: Culture, Nationality and Identity, op cit supra n. 48, at 269 n 83. See Mancini and Keeling, " Democracy and the European Court of Justice", (1994) 57 Modern Law Review 175. See Snyder, "The Taxonomy of Law in EC Agricultural Policy: A Case Study", in Gerd Winter (ed), Sources and Categories of EC Law (Kluwer, 1995). ee Snyder, "Globalisation and Europeanisation as Friends and Rivals: European Union Law in Global Economic Networks", in F. Snyder (ed) The Europeanisation of Law: The Legal Effects of European Integration (Hart Publishing, Oxford, 2000, in press).